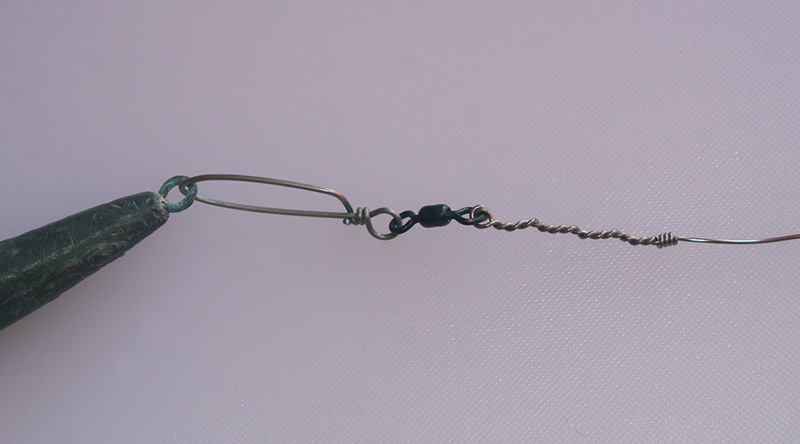 Trolling with wire line is a traditional method used to get baits down deep. 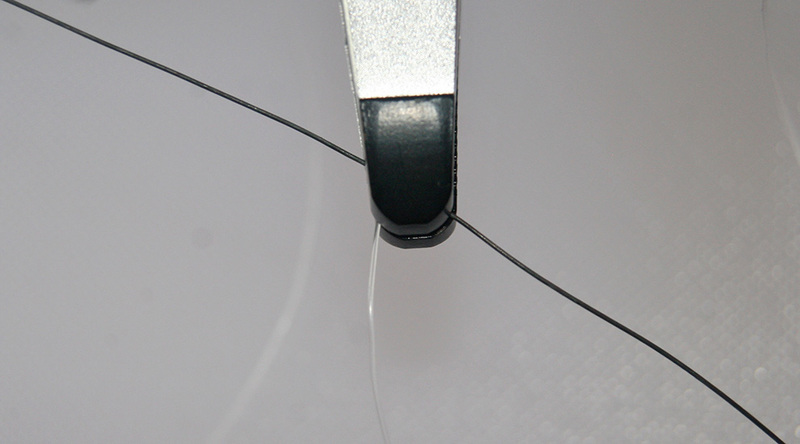 Using soft Monel wire in conjunction with a planer or sinker, or without additional weight works extremely well. This material's thin diameter matched with its density cuts through water like a knife through butter. But dissimilar metals don't always mix with salt water, and adding a mono "trace" between your wire and terminal gear will prevent a host of problems. Moving dissimilar metals through an electrolyte like seawater produces an electric current that weakens the wire. 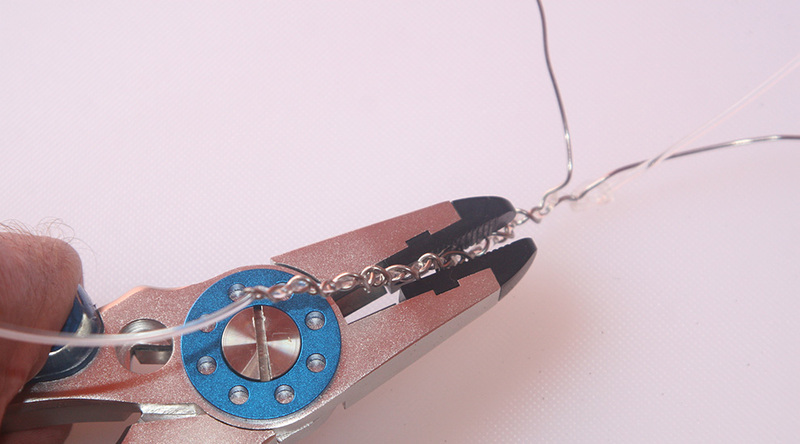 Since the Monel is ultimately attached to a sinker, planer, or swivel often made out of a different form of metal, using a section of non-conductive monofilament line helps cut out the current. MATERIALS: A 30-foot length of heavy monofilament line (I prefer fishing line that is one-and-a-half times the test of the wire), pliers and wax rigging floss. Strip off enough Monel to work with. 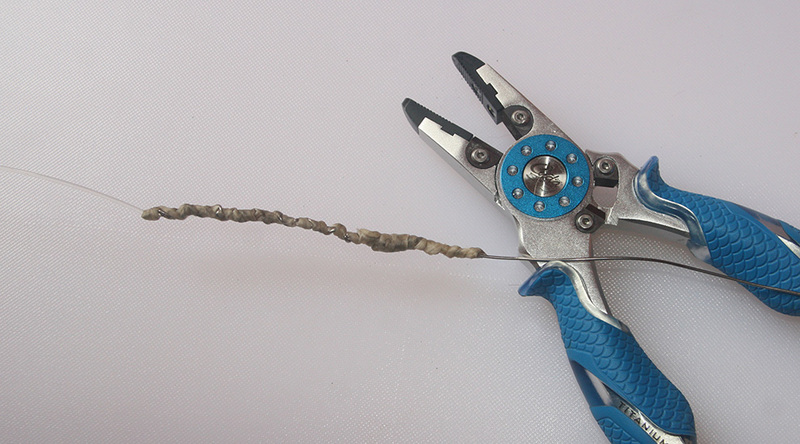 Then, attach the mono to the wire with an overhand knot and have a helper grip the mono with the pliers. 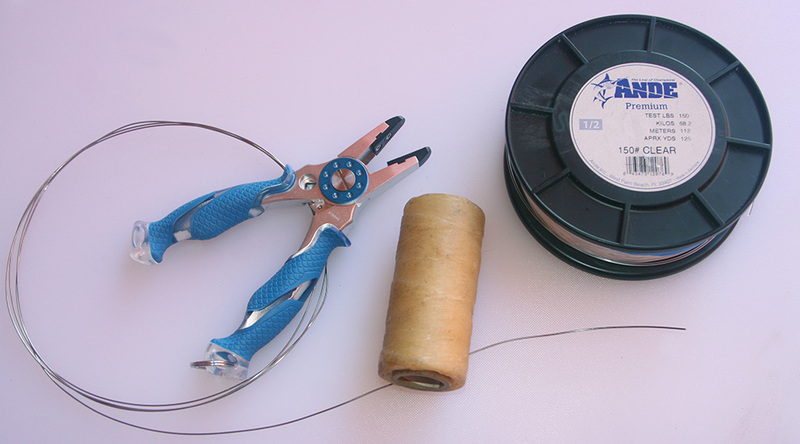 Now, begin forcibly twisting the mono and Monel together, in a method similar to creating a Haywire twist, while working away from the rod and reel. Continue twisting for five or six inches. Then, after joining both materials, secure the splice by wrapping the Monel back over itself all the way to the starting point. Now grab the turnaround point in the jaws of your pliers. Continue wrapping backwards while maintaining pressure, all the way to the original overhand knot, before slicing the latter away. Finish with a series of barrel wraps. 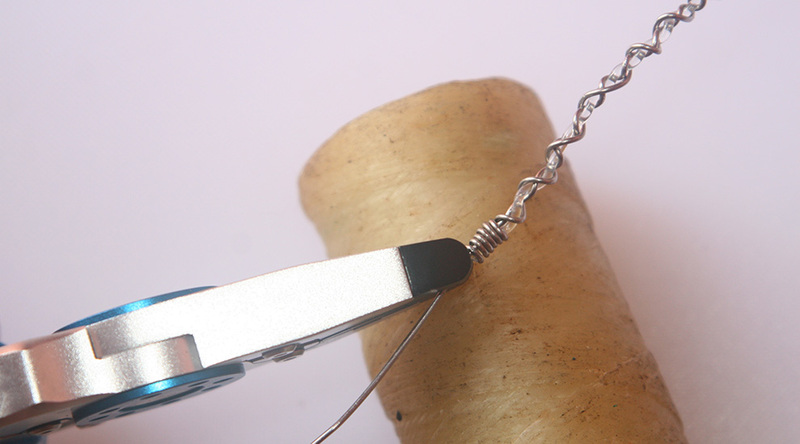 Instead of kinking off the excess, which heats up the Monel and weakens it, trim the end as closely as possible and finish the wraps with your pliers. 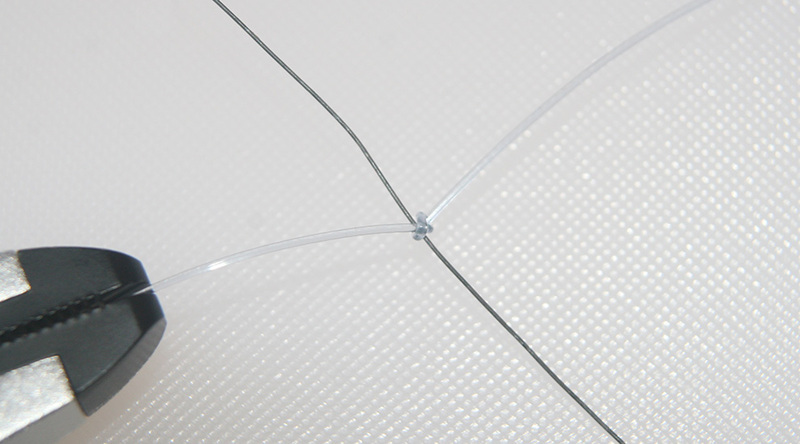 It's customary to "serve" wire splices with waxed floss or dental tape to ease their passage in and out of the rod guides. 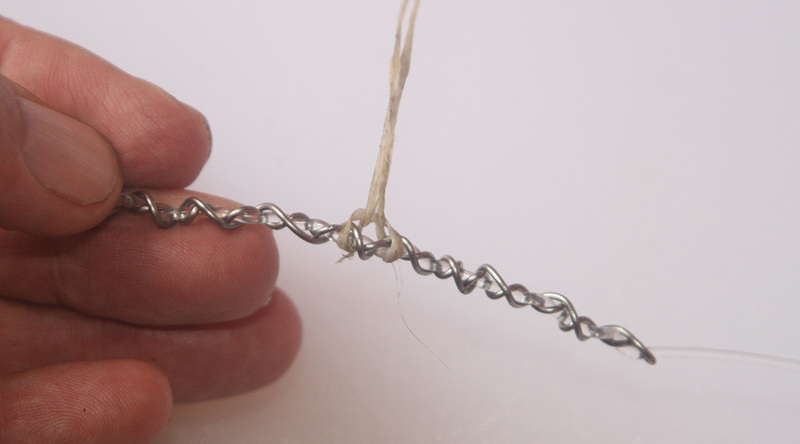 First, attach a loop of floss at the middle of the splice and begin to wrap. 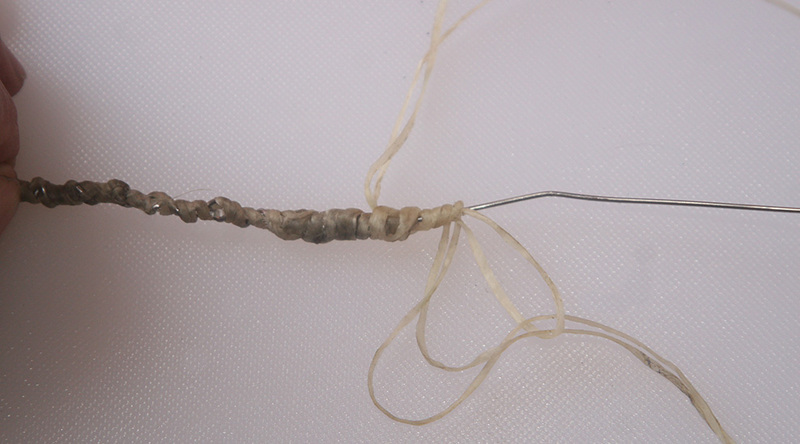 Continue wrapping the floss to cover the wire wraps. 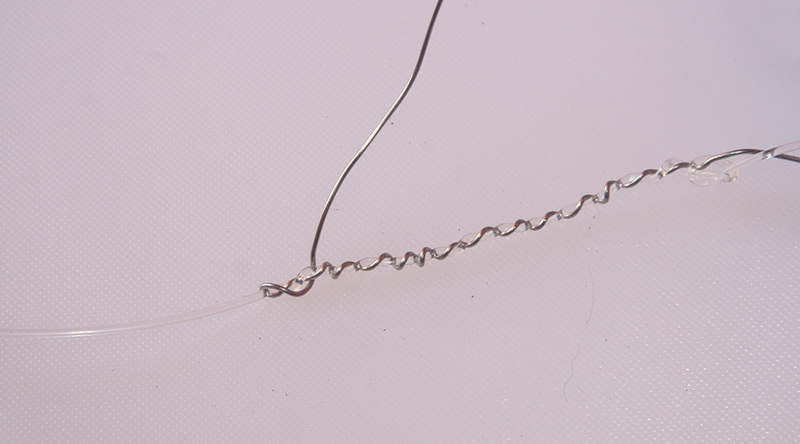 Then, before you run out, snip off a second short loop and whip it over the splice, making 3 or 4 turns. Next, insert both tag ends from the first loop into the second loop and pull them through the wraps to finish the splice. 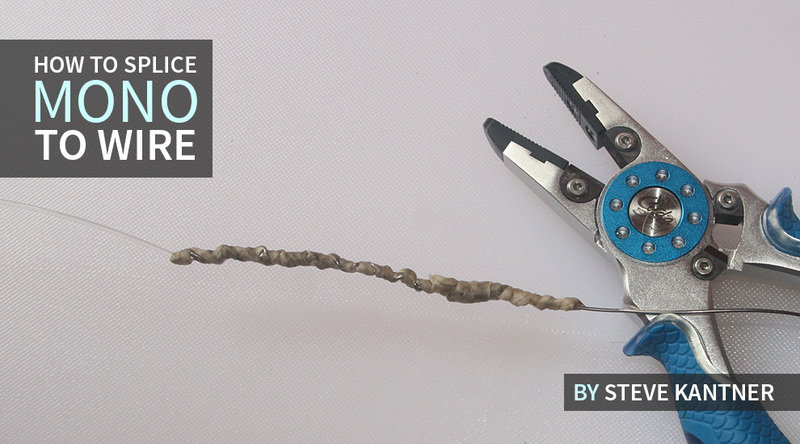 Trim-off any excess floss and the mono to Monel splice is complete. This section of mono will alleviate any potential electrolysis that may have occurred from running the wire straight to a metal planer or sinker.